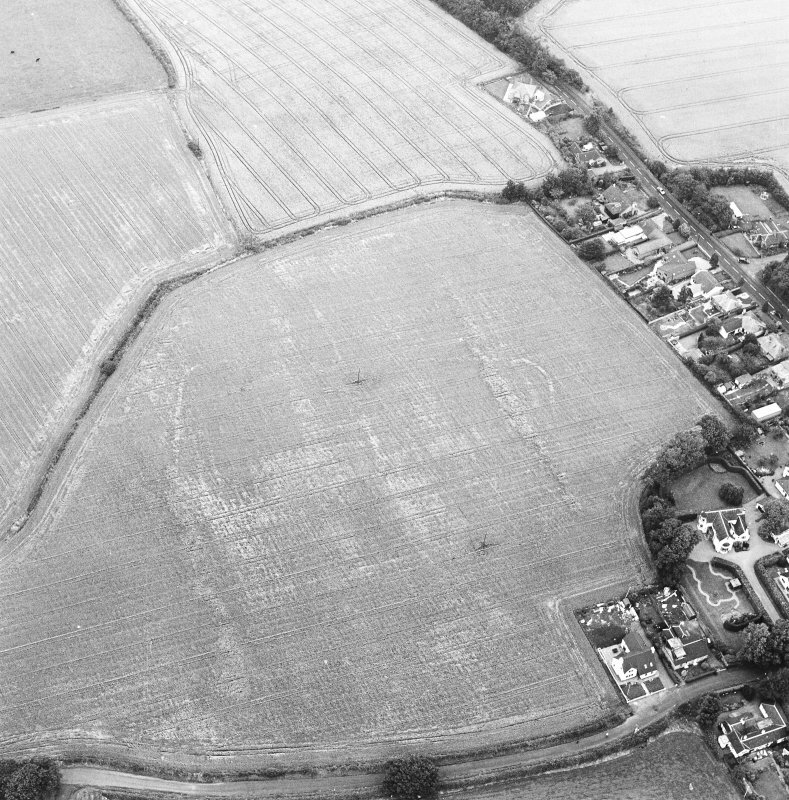 Oblique aerial view of Muirhouses centred on the cropmarks of a Roman temporary camp, taken from the NE. 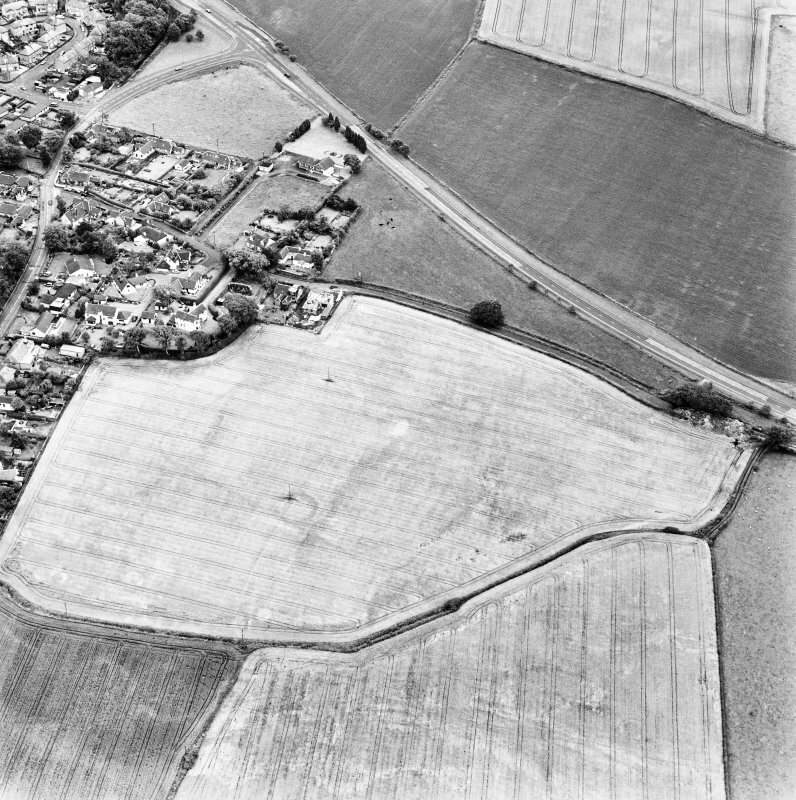 Drum and Muirhouses, oblique aerial view, taken from the SW, centred on the cropmarks of an enclosure and possible coal pits. 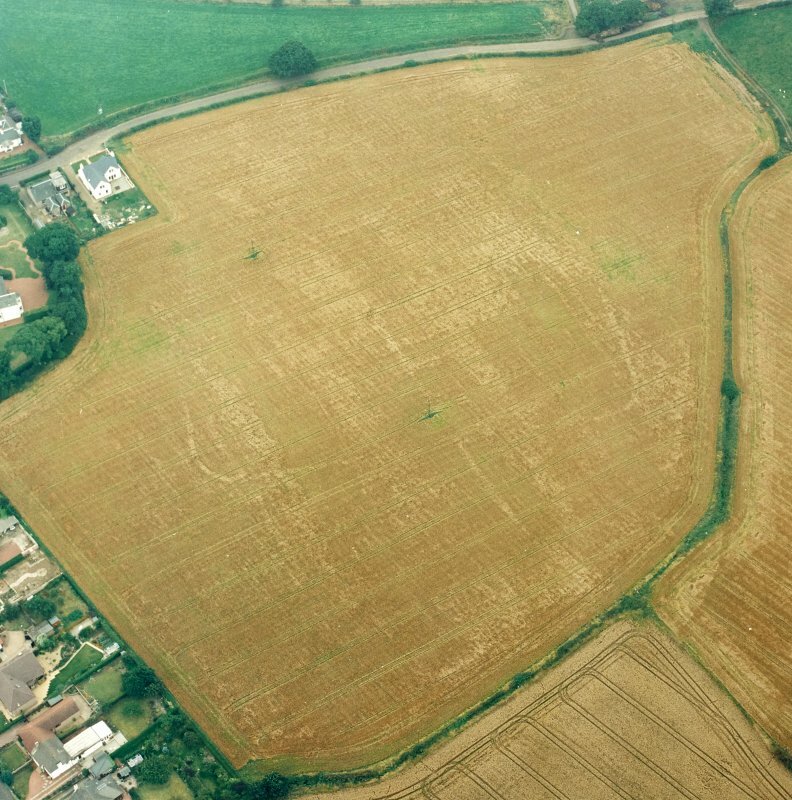 The cropmarks of a Roman Temporary Camp and possible souterrain are visible in the right half of the photograph. 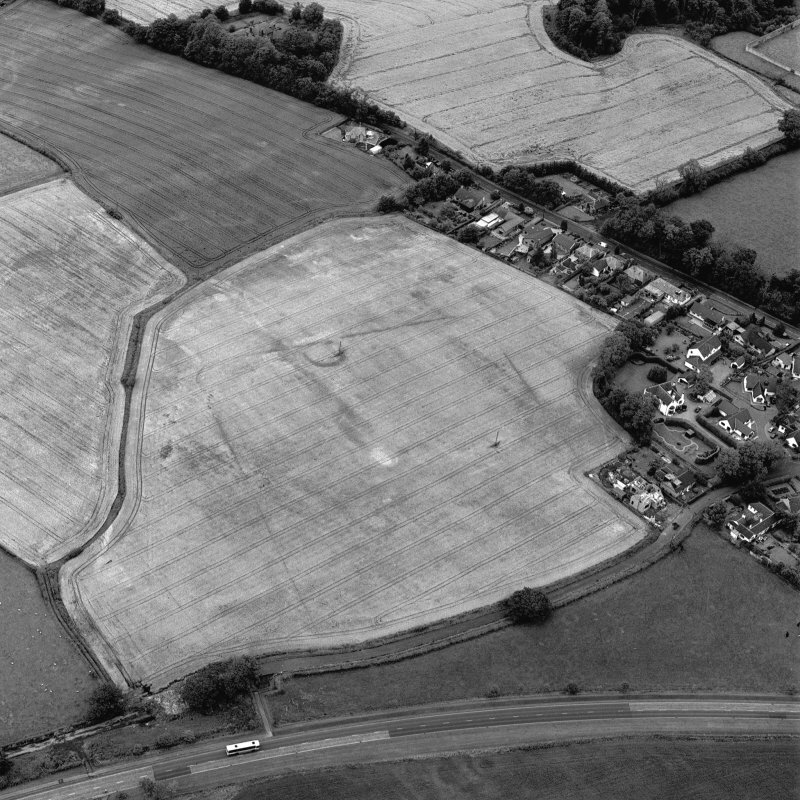 Muirhouses and Drum, oblique aerial view, taken from the N, centred on the cropmarks of a Roman Temporary Camp and possible souterrain. 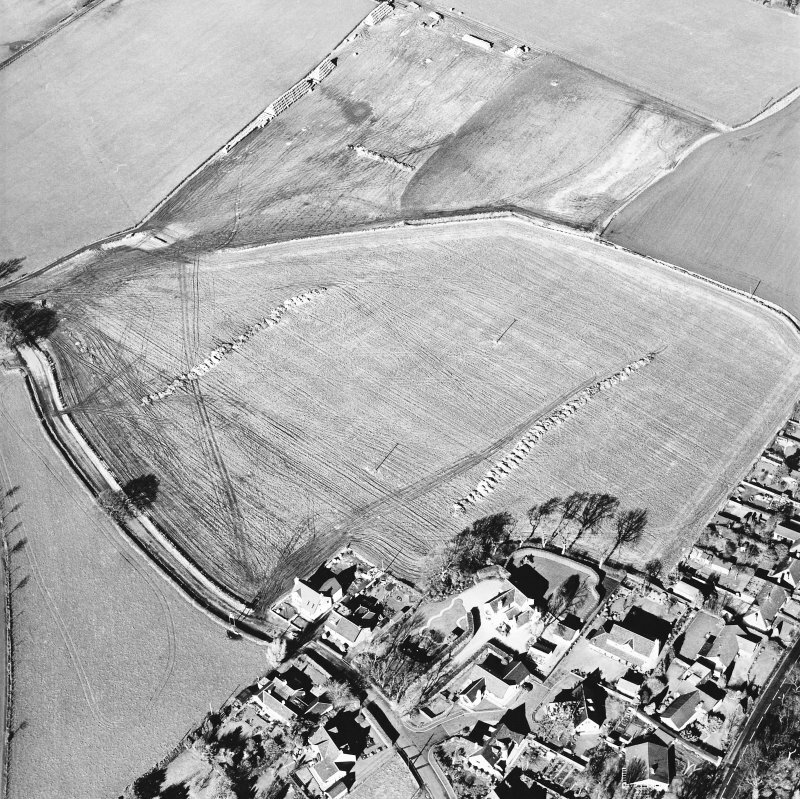 The cropmarks of an enclosure and possible coal pits are visible in the bottom half of the photograph. 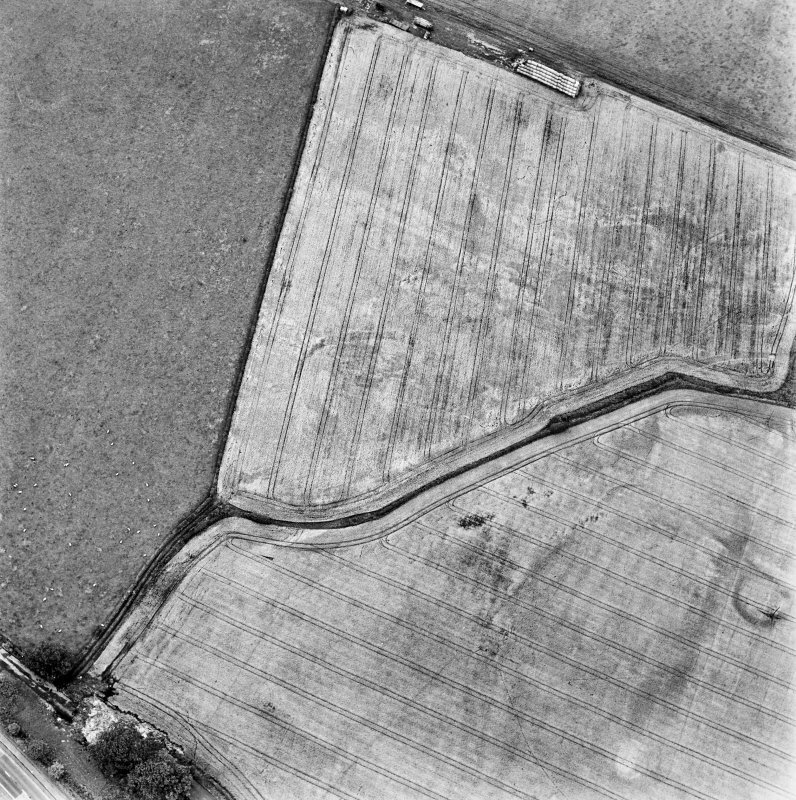 Oblique aerial view of Muirhouses centred on the cropmarks of a Roman temporary camp, taken from the E.
Oblique aerial view of Muirhouses centred on the cropmarks of a Roman temporary camp, taken from the SE. 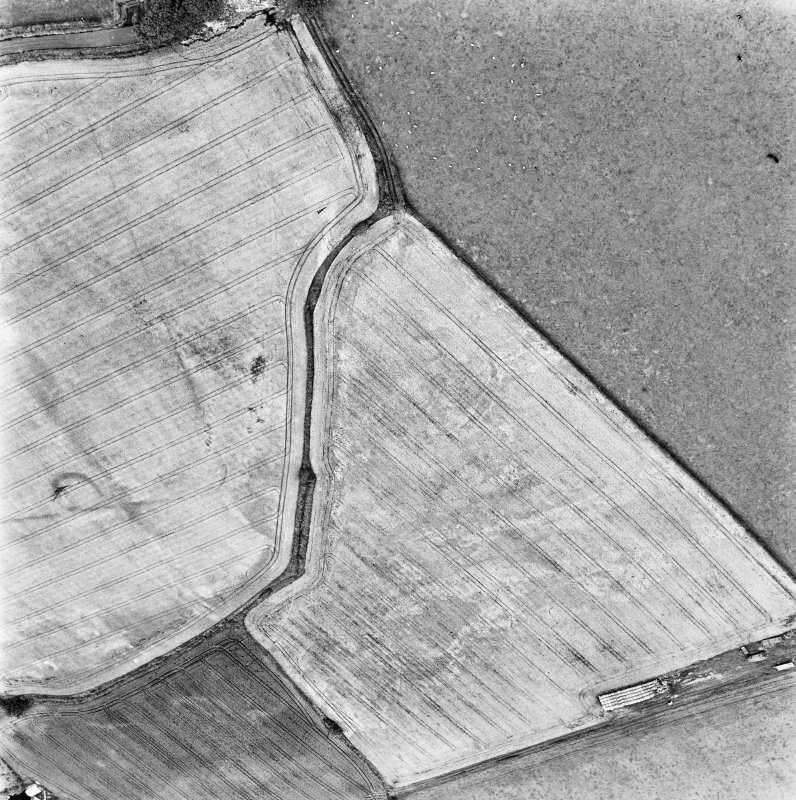 Oblique aerial view centred on the cropmarks of the Roman temporary camp and the possible souterrain, taken from the WSW. 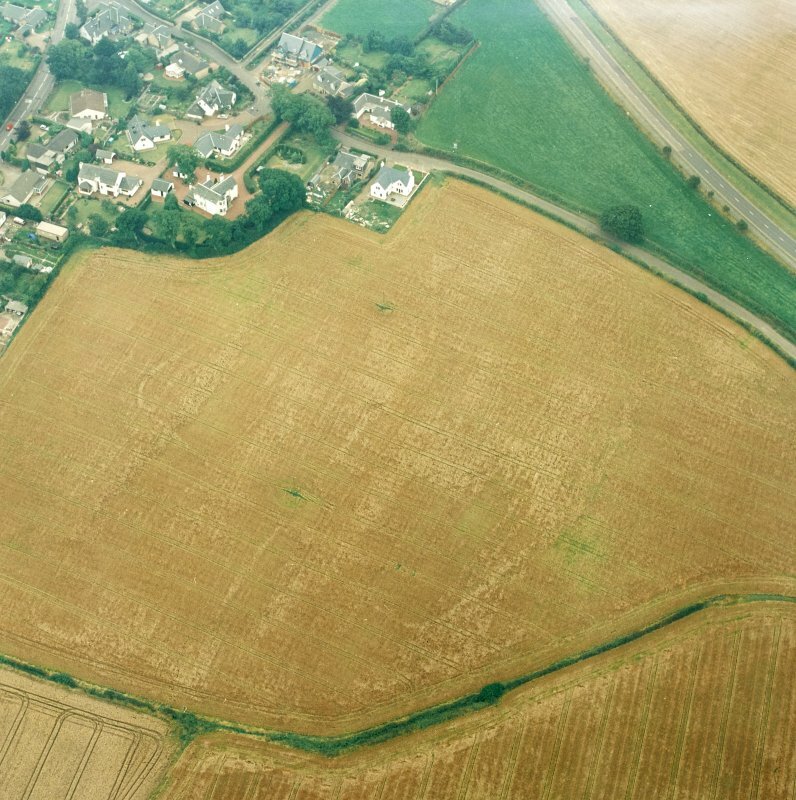 Aerial view of the location of Muirhouses Roman temporary camp, taken from the N.
Oblique aerial view centred on the cropmarks of the Roman temporary camp and the possible souterrain, taken from the SE. 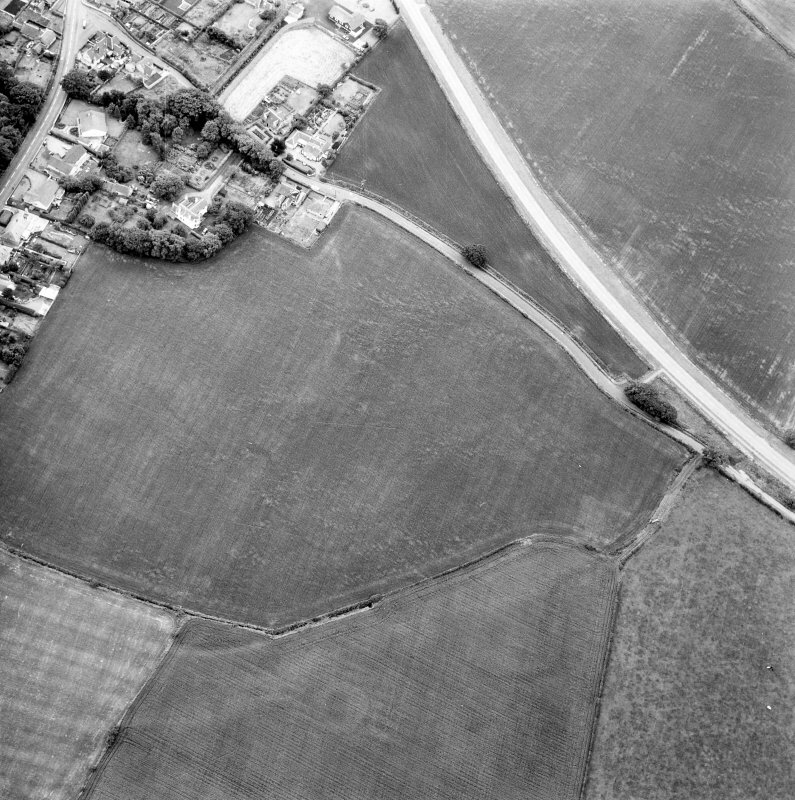 Oblique aerial view centred on the cropmarks of the Roman temporary camp and the possible souterrain, taken from the SSW. 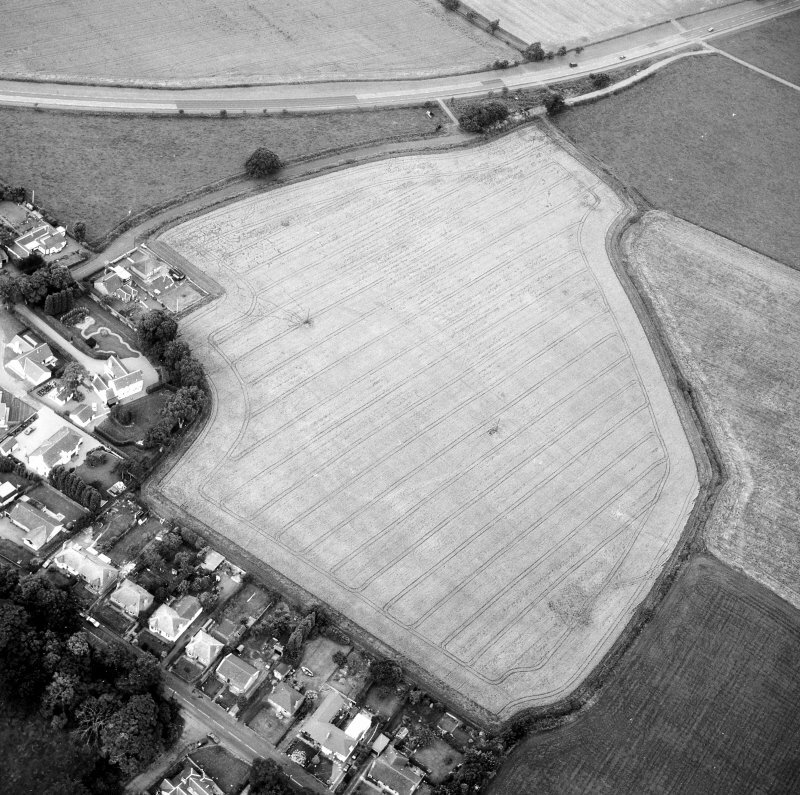 Aerial view of the location of Muirhouses Roman temporary camp, taken from the NNE. 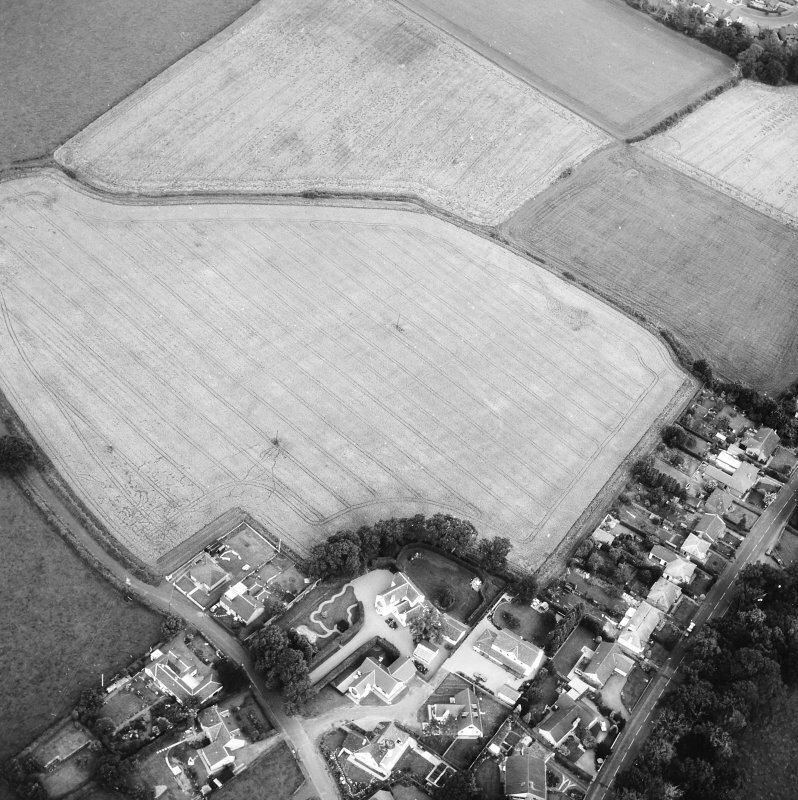 Aerial view of the location of Muirhouses Roman temporary camp, taken from the SE. 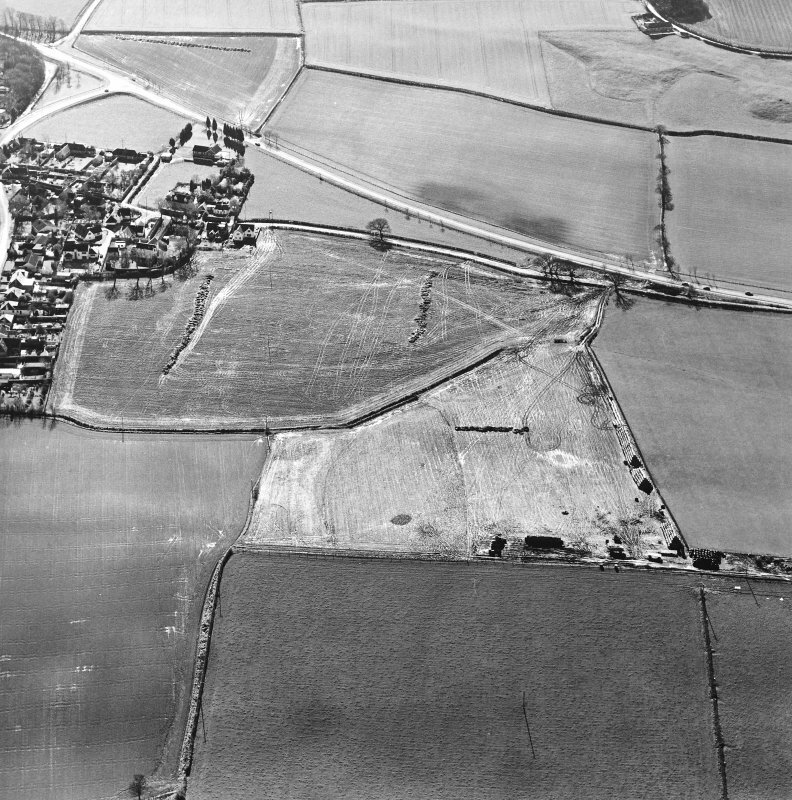 Drum and Muirhouses, oblique aerial view, taken from the WNW, centred on the cropmarks of an enclosure and possible coal pits. 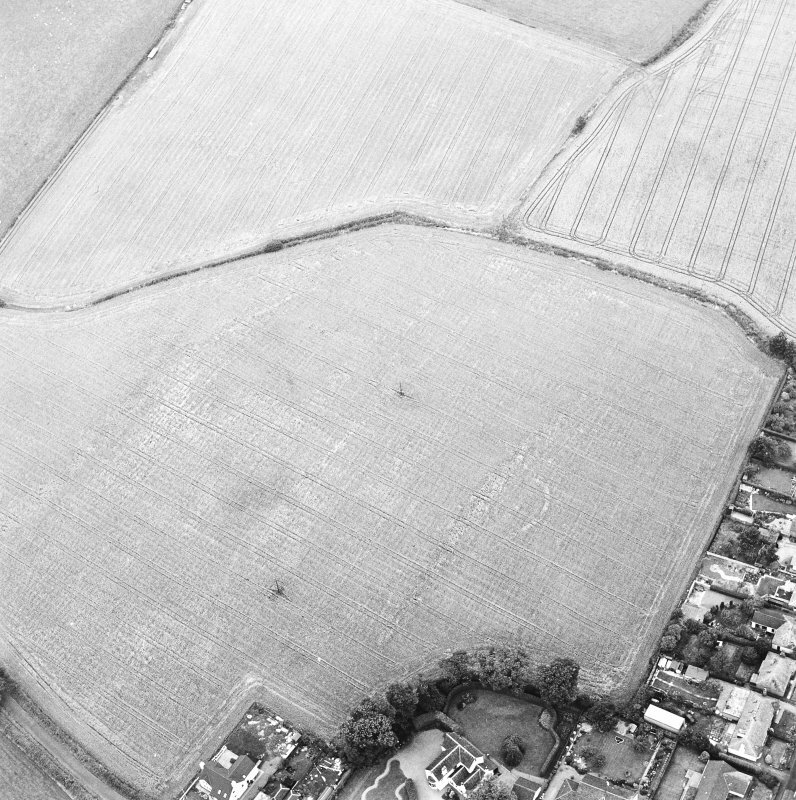 The cropmarks of a Roman Temporary Camp and possible souterrain are visible in the top half of the photograph. 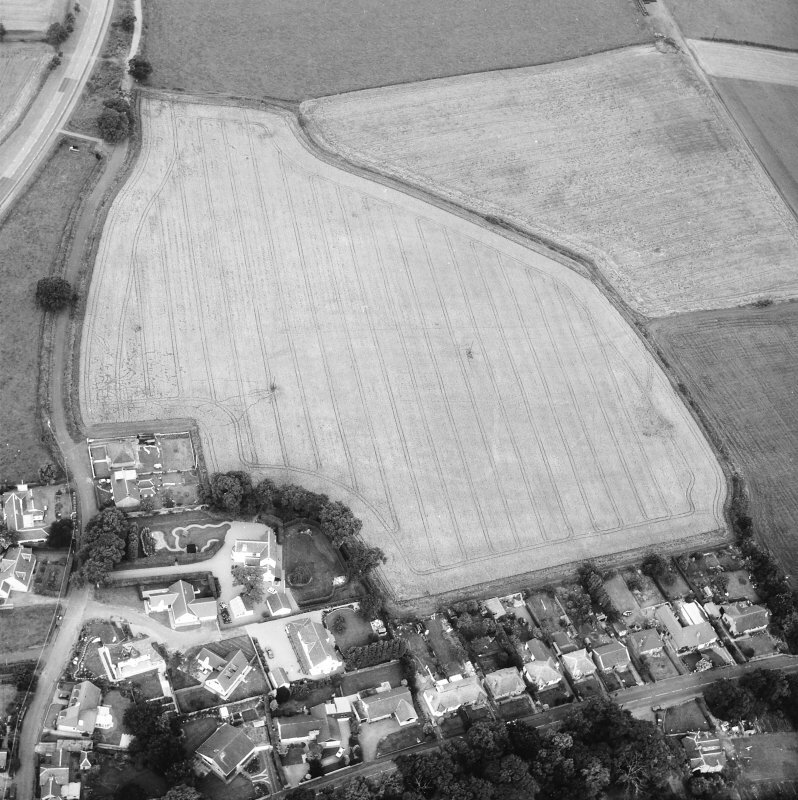 Muirhouses and Drum, oblique aerial view, taken from the WNW, centred on the cropmarks of a Roman Temporary Camp and possible souterrain. 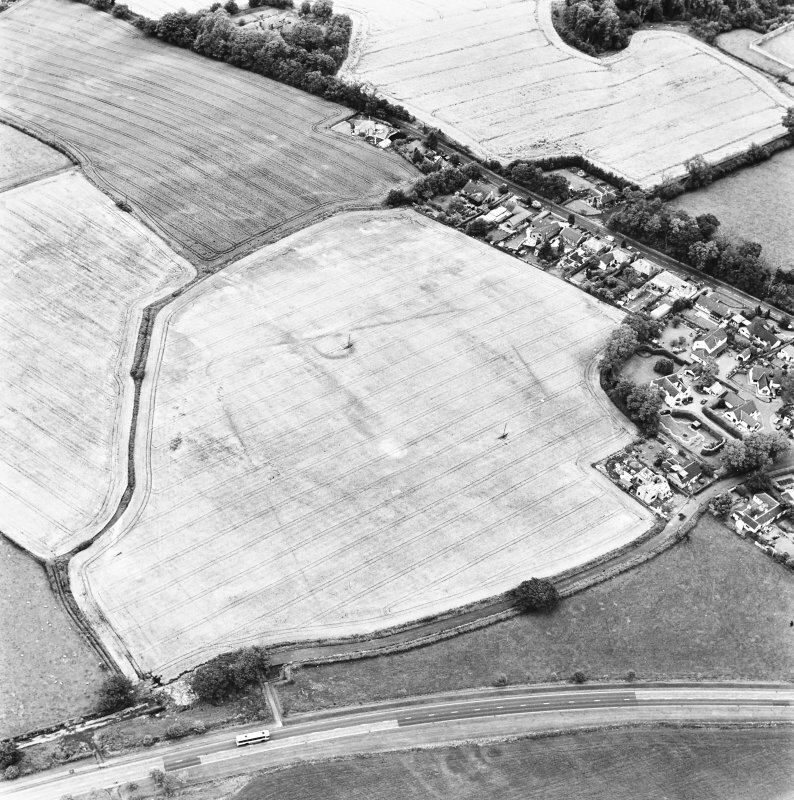 The cropmarks of an enclosure and possible coal pits are visible in the bottom left-hand corner of the photograph. 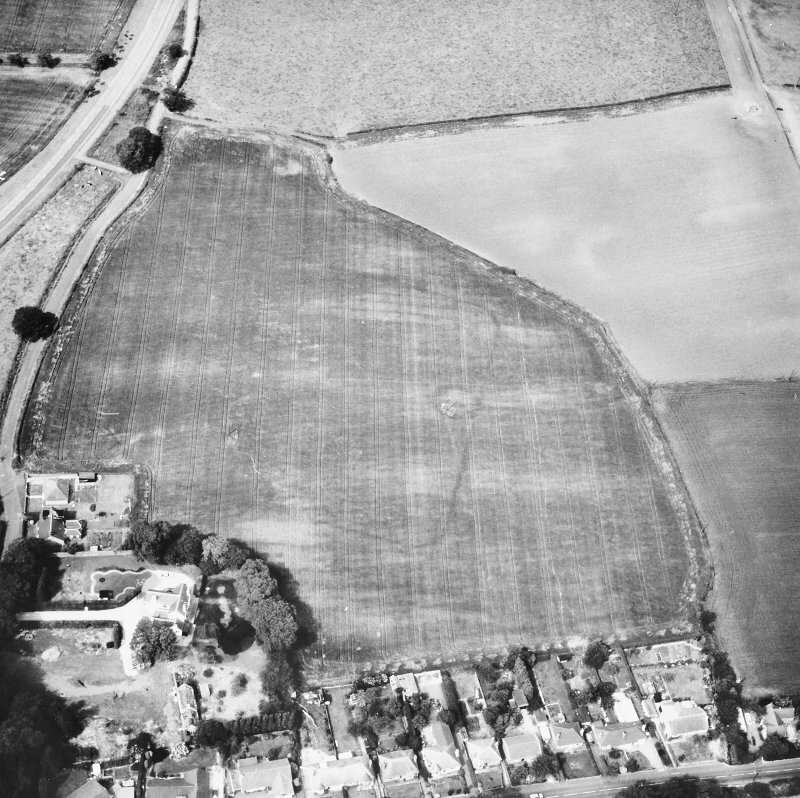 Aerial view of the location of Muirhouses Roman temporary camp, taken from the E.
Drum and Muirhouses, oblique aerial view, taken from the S, centred on the cropmarks of an enclosure and possible coal pits. 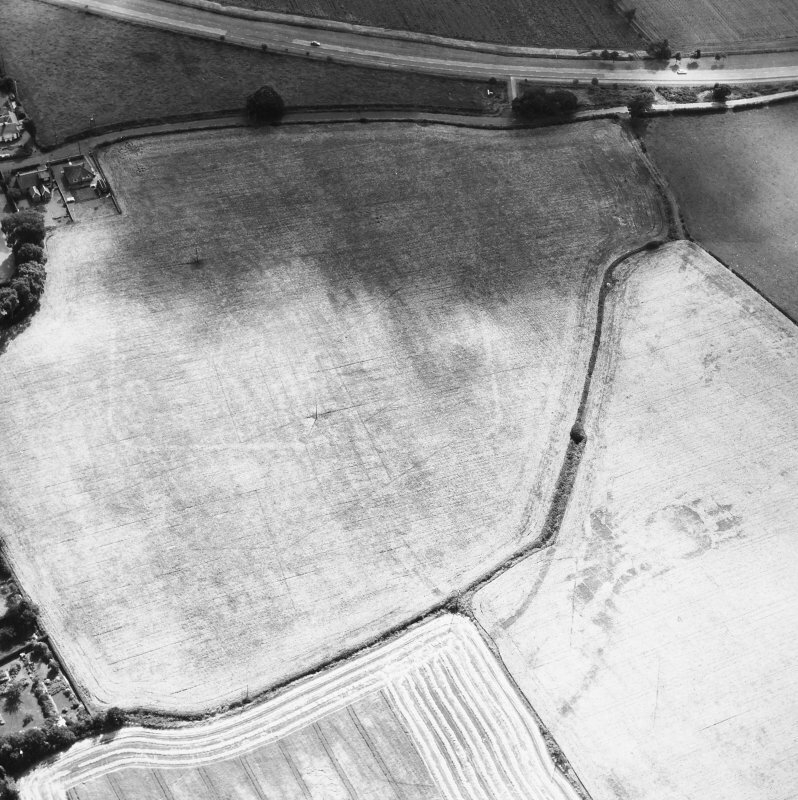 The cropmarks of a Roman Temporary Camp and possible souterrain are visible in the bottm half of the photograph. 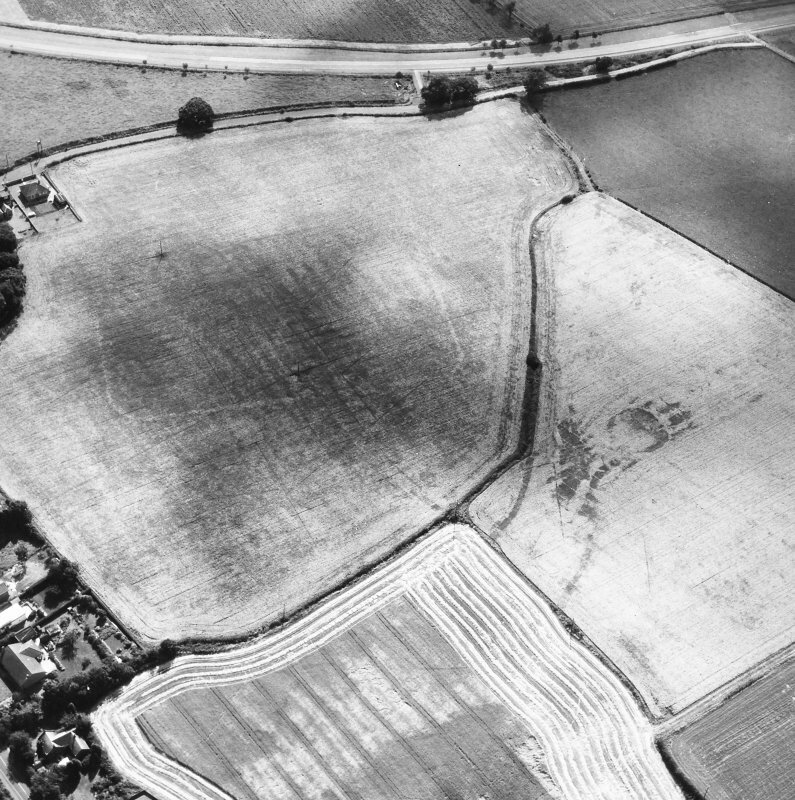 Oblique aerial view centred on the cropmarks of the enclosure, taken from the NNW. 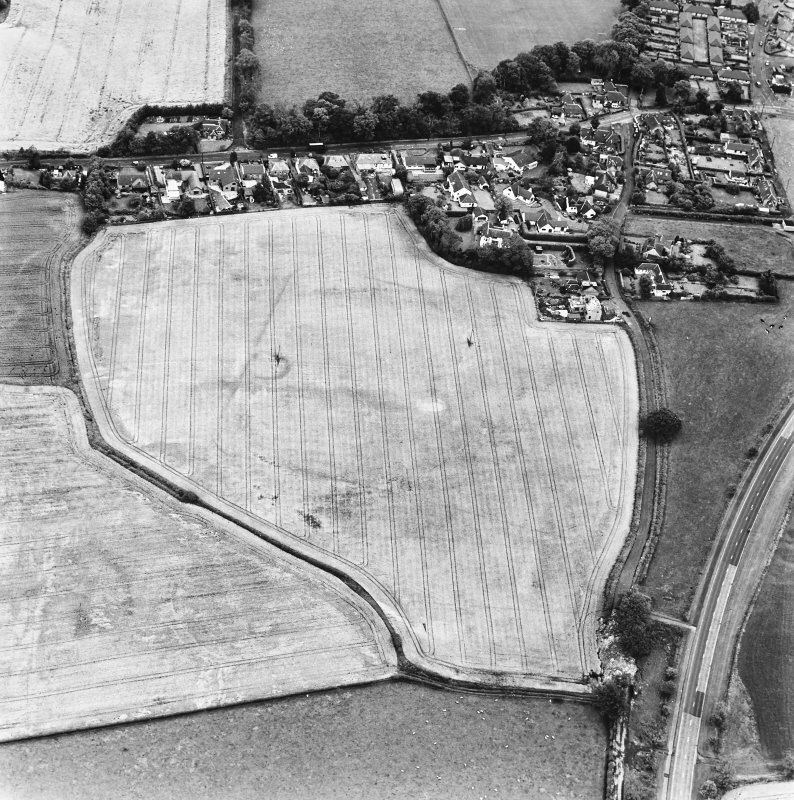 Oblique aerial view of Muirhouses centred on the cropmarks of a Roman temporary camp, taken from the SW.
Muirhouses and Drum, oblique aerial view, taken from the SW, centred on the cropmarks of a Roman Temporary Camp and possible souterrain. 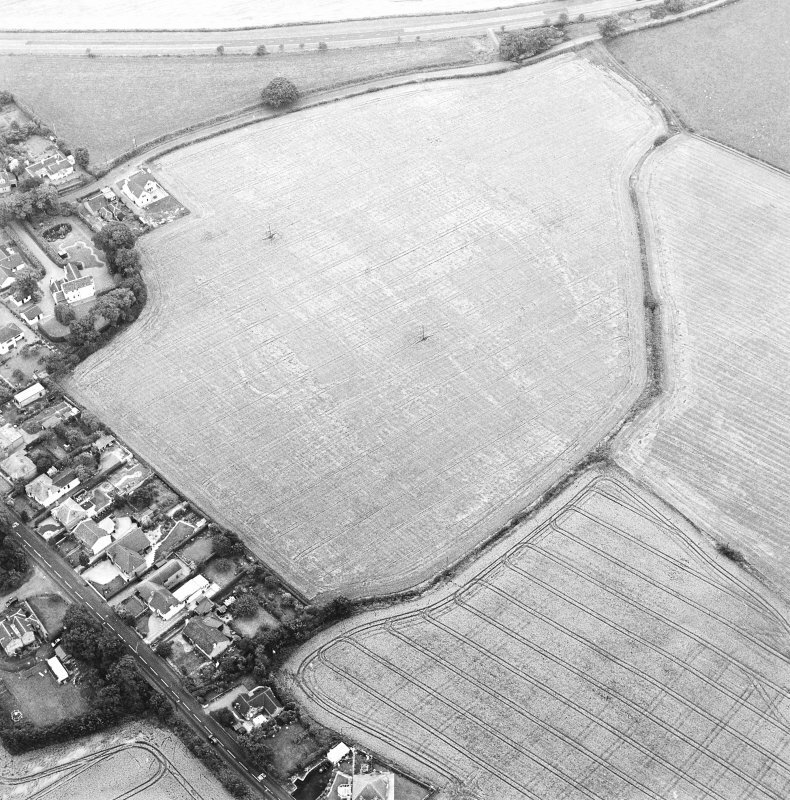 Oblique aerial view of Muirhouses centred on the cropmarks of a Roman temporary camp, taken from the NW. 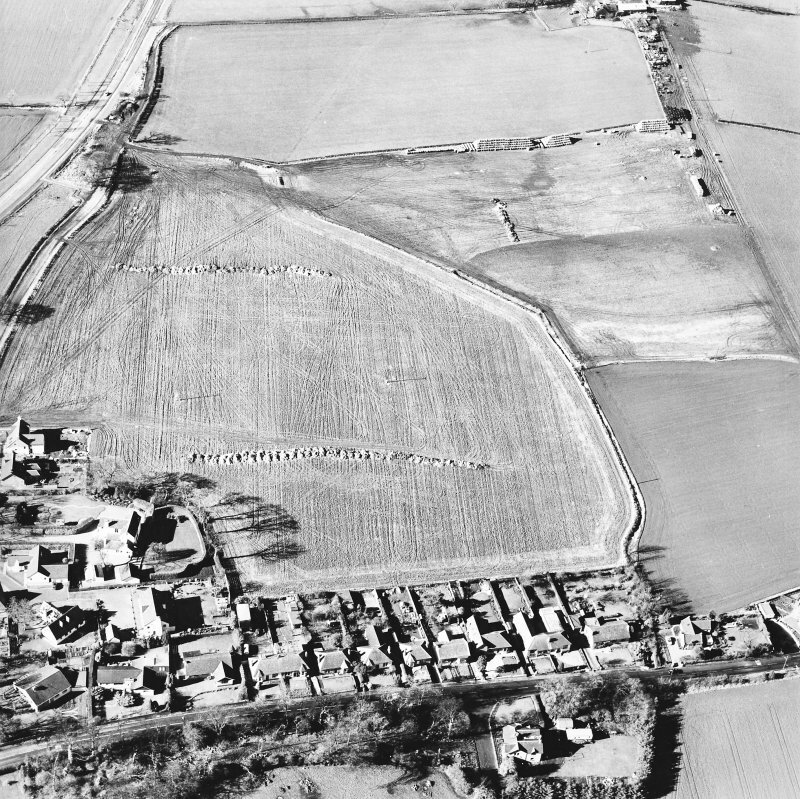 Oblique aerial view of Muirhouses Roman Temporary Camp, taken from the NNE. 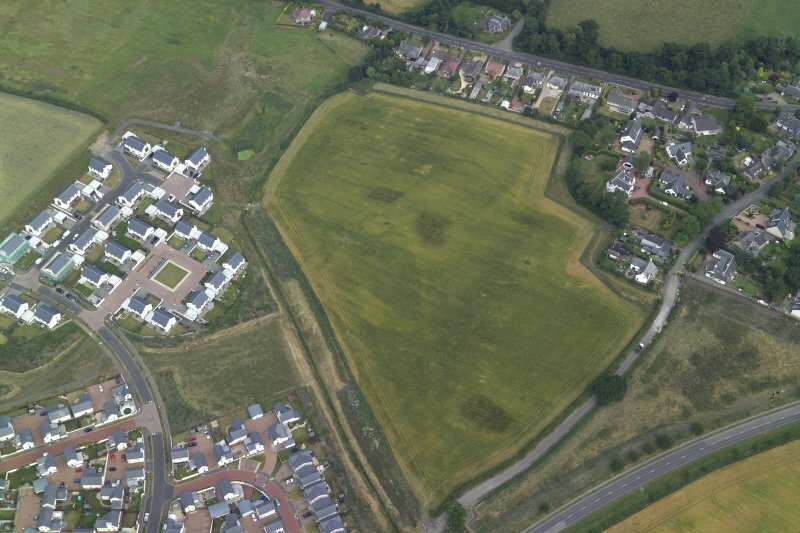 Oblique aerial view of Muirhouses temporary Roman camp. 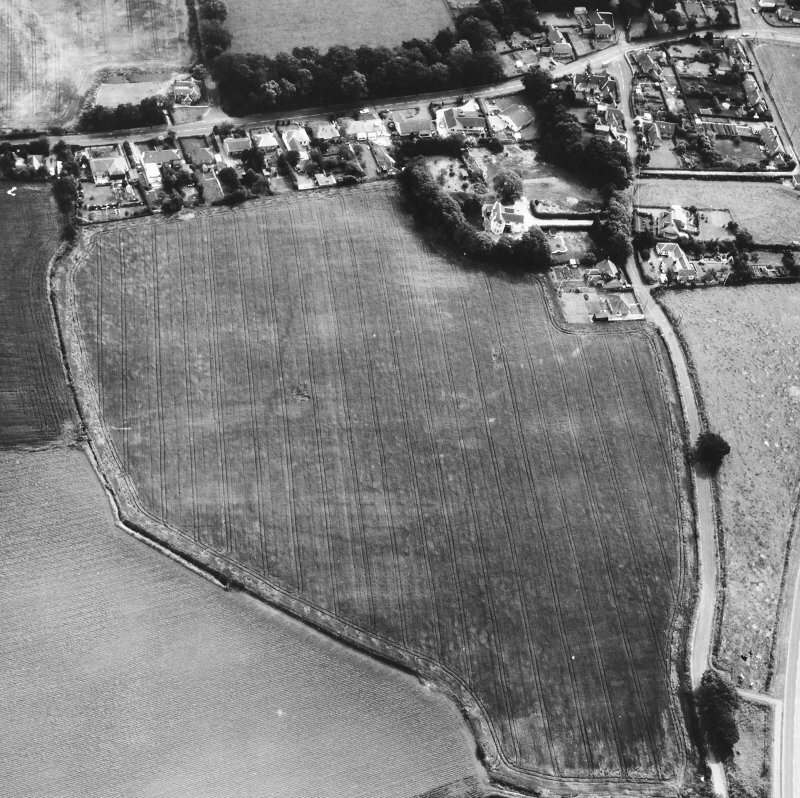 For possible souterrain within the area of this camp, see NT08SW 91. NT 016 807. 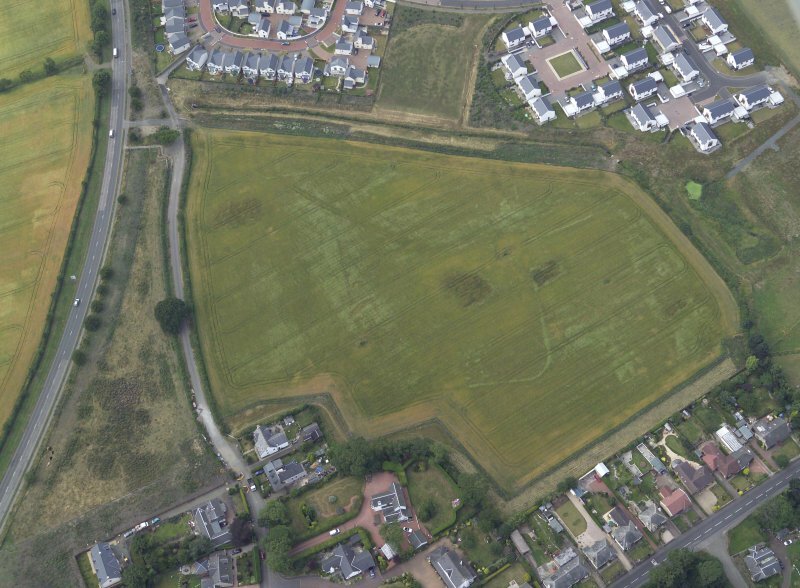 At Muirhouses a small Roman temporary camp has been identified. 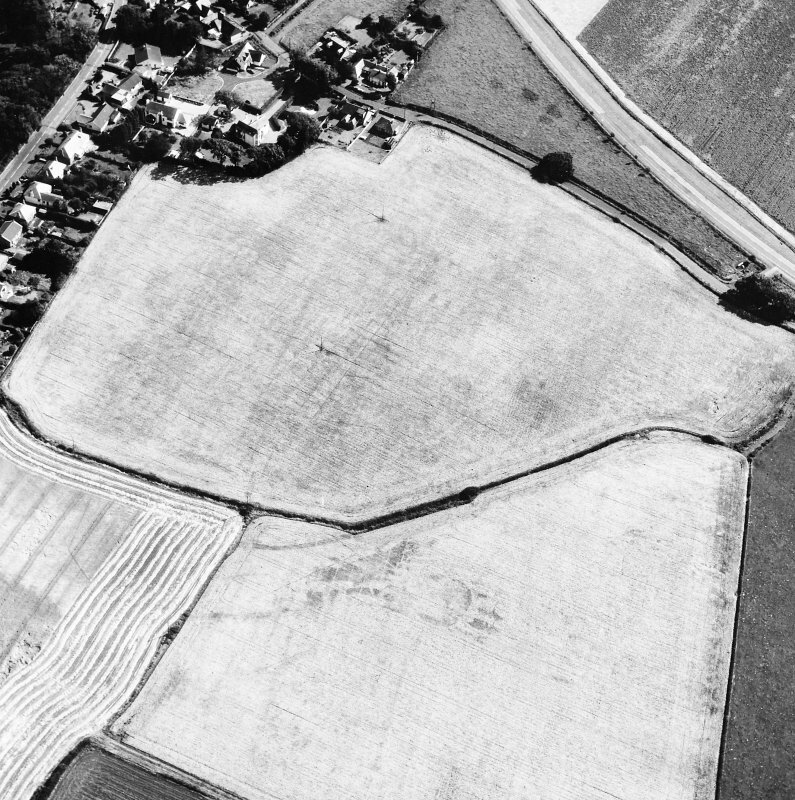 The N side, about 425ft long with a central gate, a similar length on both E and W sides, and the two rounded northern angles, showed as faint lines in a cereal crop. 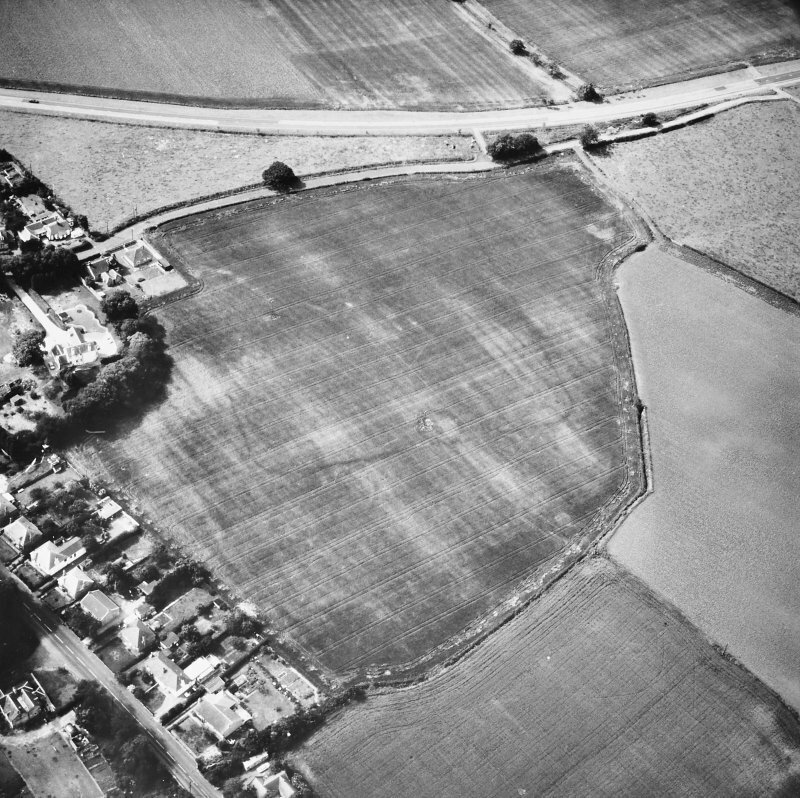 (Visible on CUCAP air photograph ACC 94). J K St Joseph 1961. NT 0166 8067. There is nothing visible of this camp on the ground. 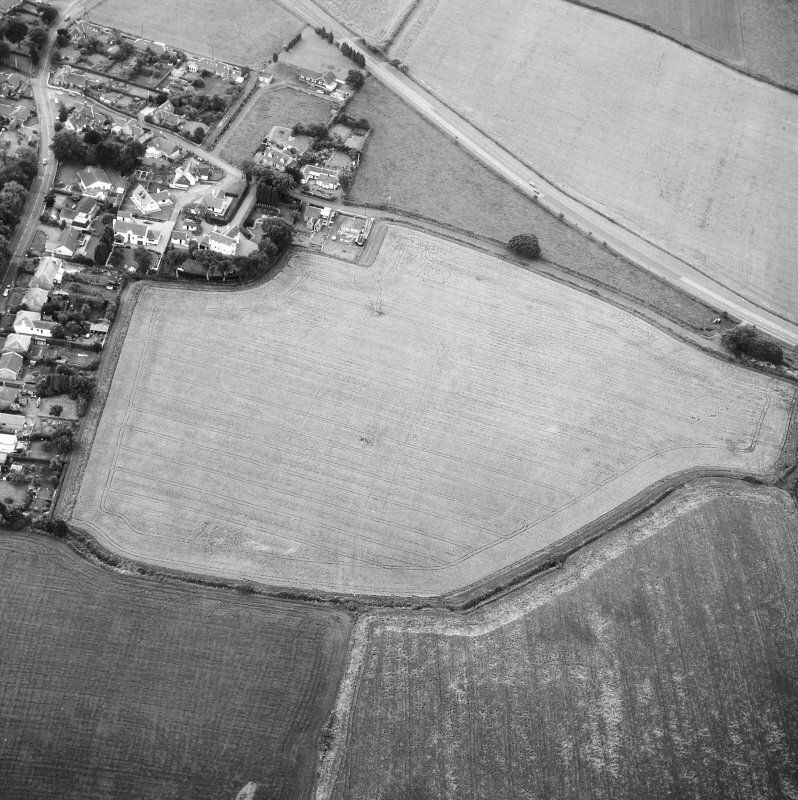 Site surveyed at 1:2500 scale from air photograph. Visited by OS (B S) 12 March 1974. 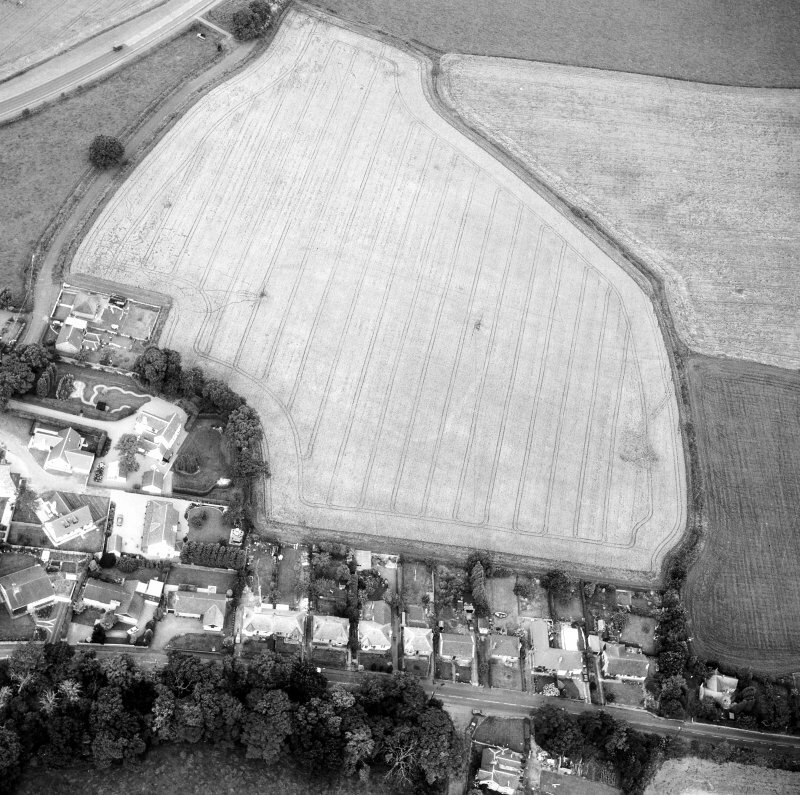 Additional aerial photographs taken by the RCAHMS in 1979. Information from OS Archaeology Branch records . 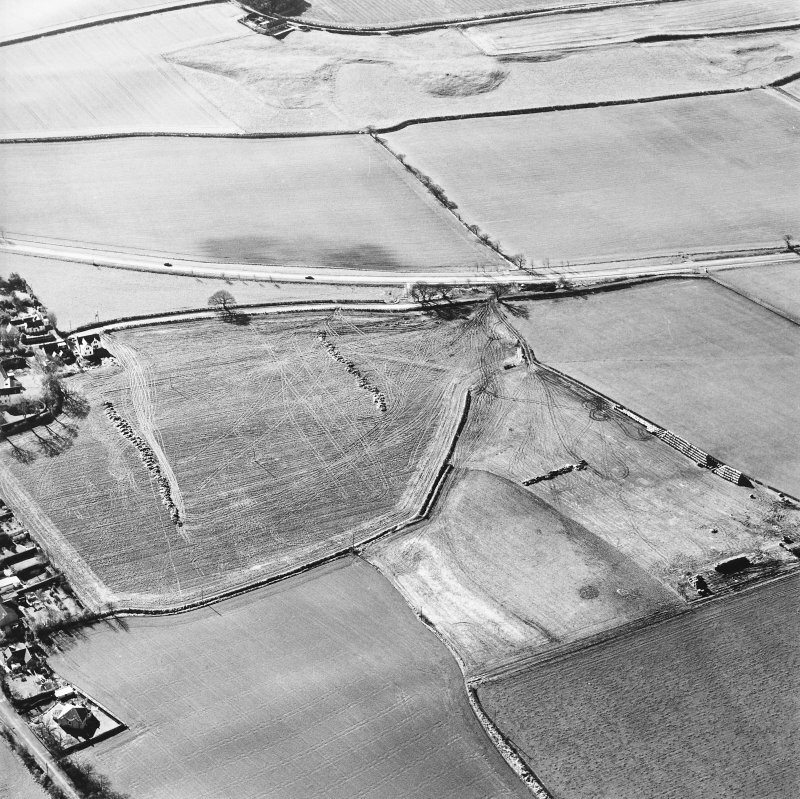 [Dated to mid-2nd century AD, and associated with the construction of the Antonine Wall and of Carriden fort (NT08SW 7.00)]. Information from Historic Scotland, scheduling document dated 23 November 2010. 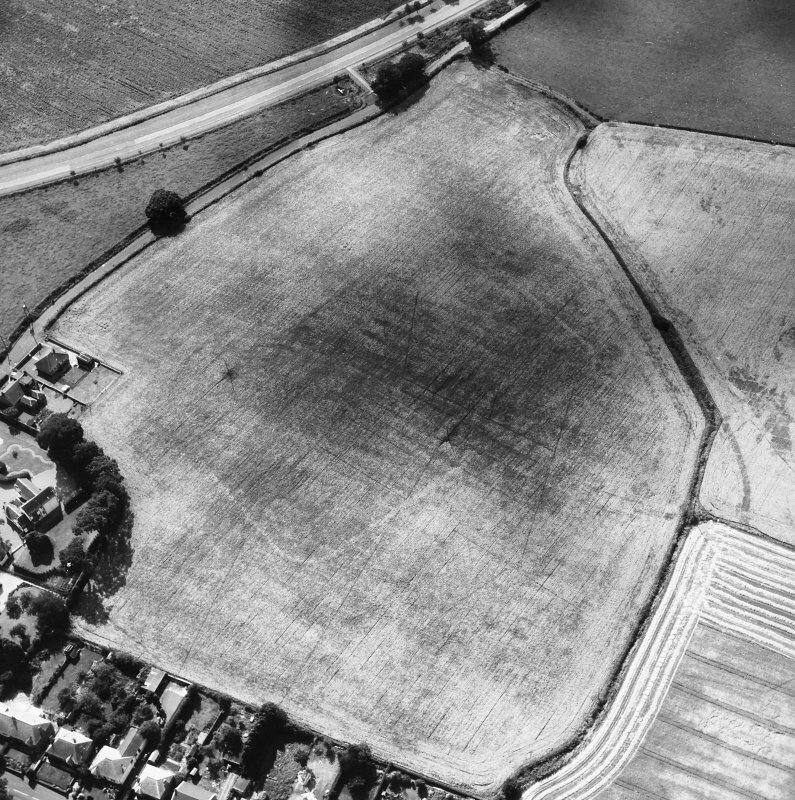 J K St Joseph 1961; Visible on CUCAP air photographs ACC 94. 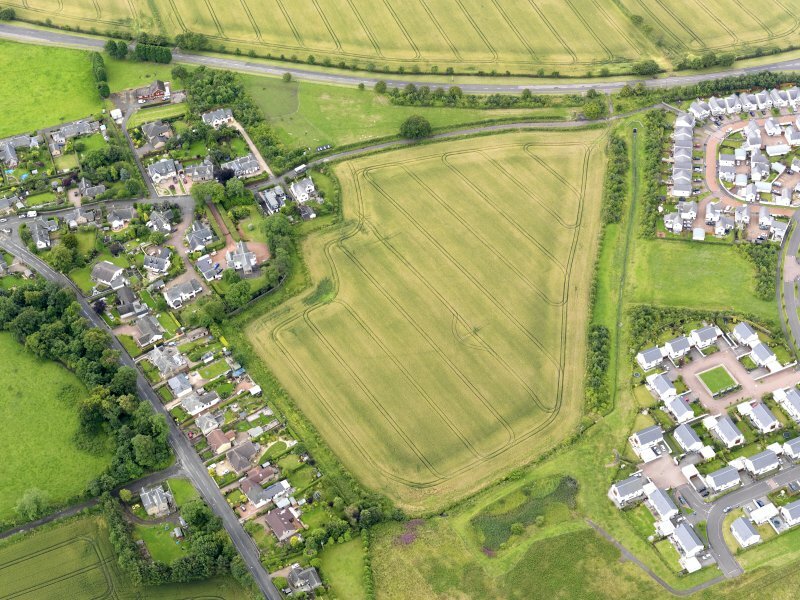 Visible on RCAHMS air photographs WL 2015-17. 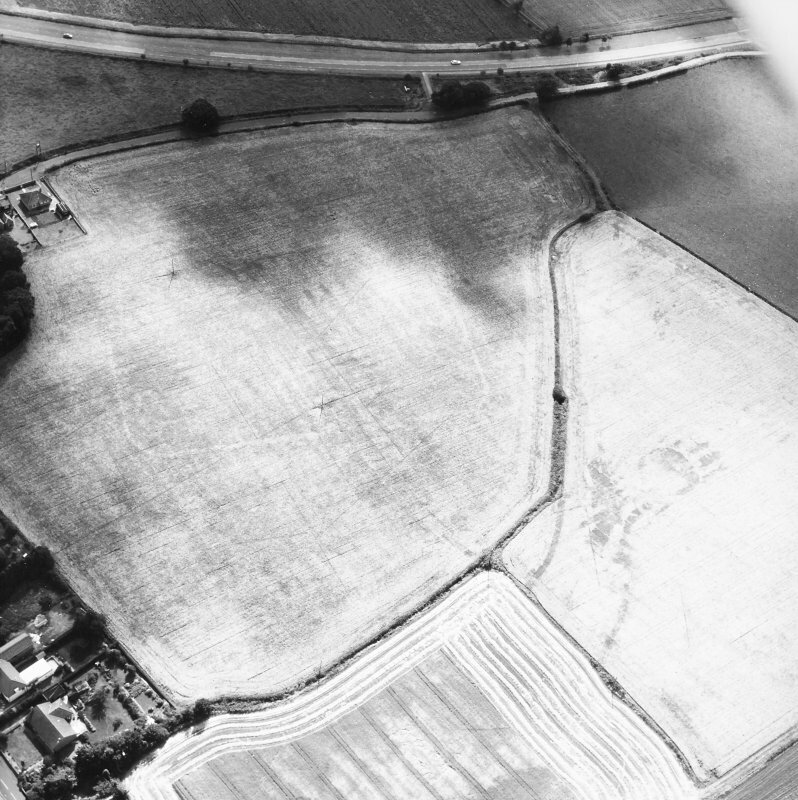 An aerial transcription was produced from oblique aerial photographs. 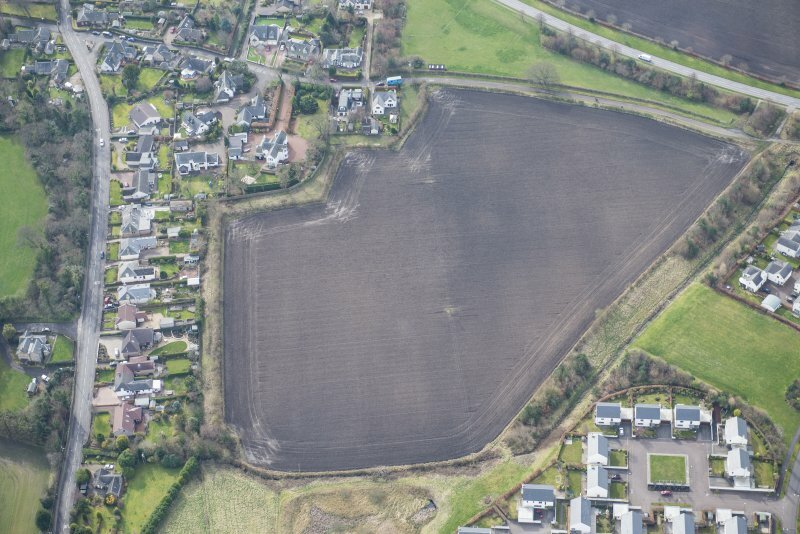 Information from Historic Environment Scotland (BM) 31 March 2017. 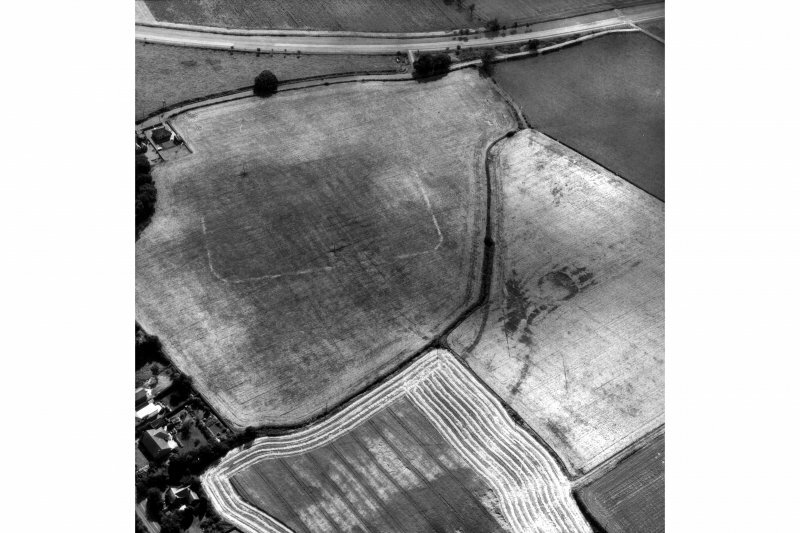 NT 0166 8067 A magnetic survey of the northern part of the camp and its exterior undertaken in October 2009 revealed the camp entrance, the ditch and a strong semi-circular feature of c18m diameter close to the entrance. 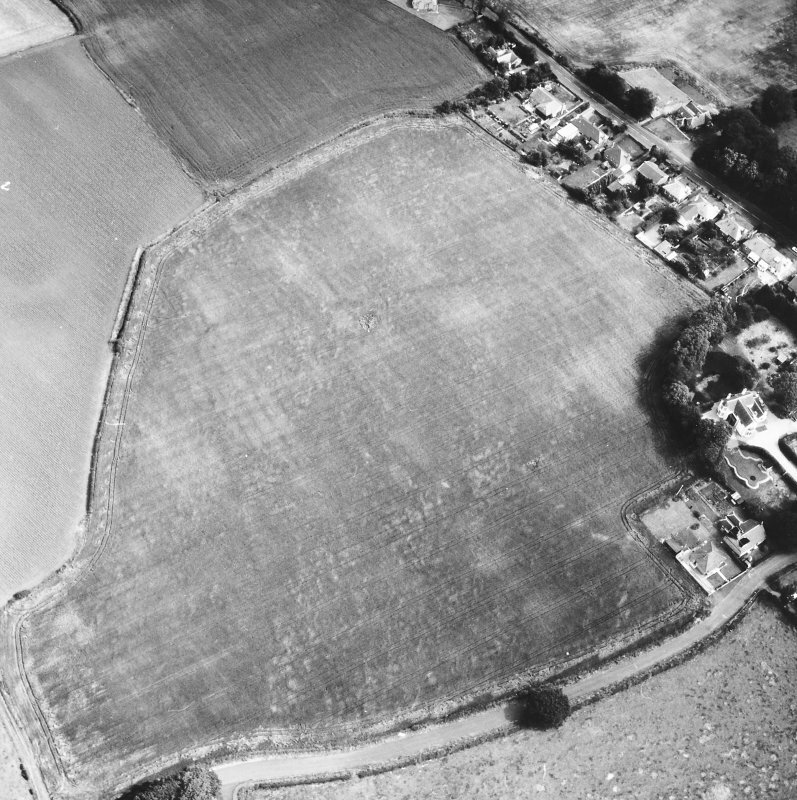 This last feature, which appears more fully circular in the corresponding aerial photograph, has an apparent internal bank/rampart. 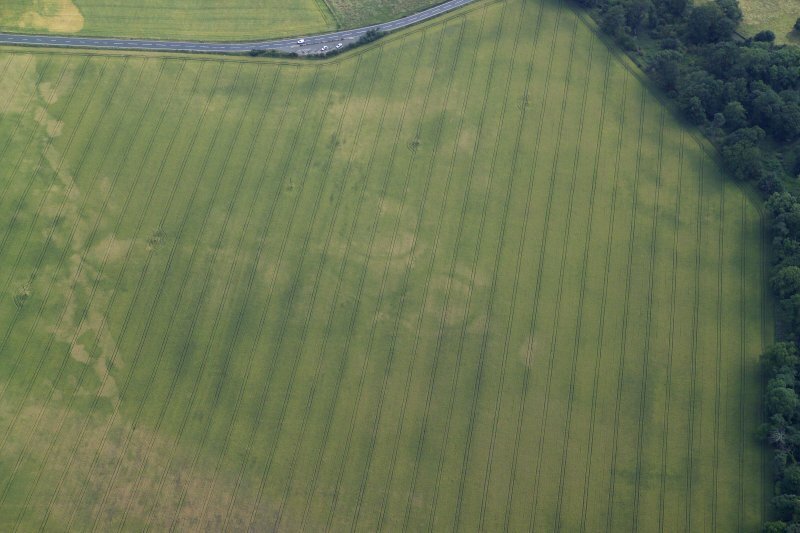 Several anomalies were detected immediately to the N of the camp, at least some of which are probably modern. 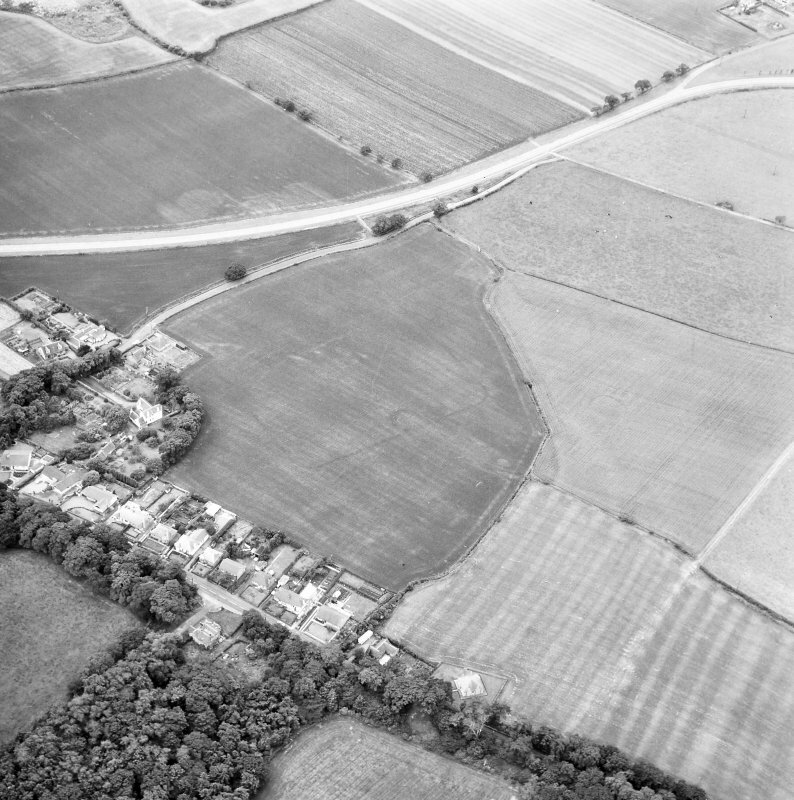 The camp at Muirhouses was first recorded from the air by St Joseph in 1960 (St Joseph 1961: 122), on fairly level ground just west of the village of Muirhouses. 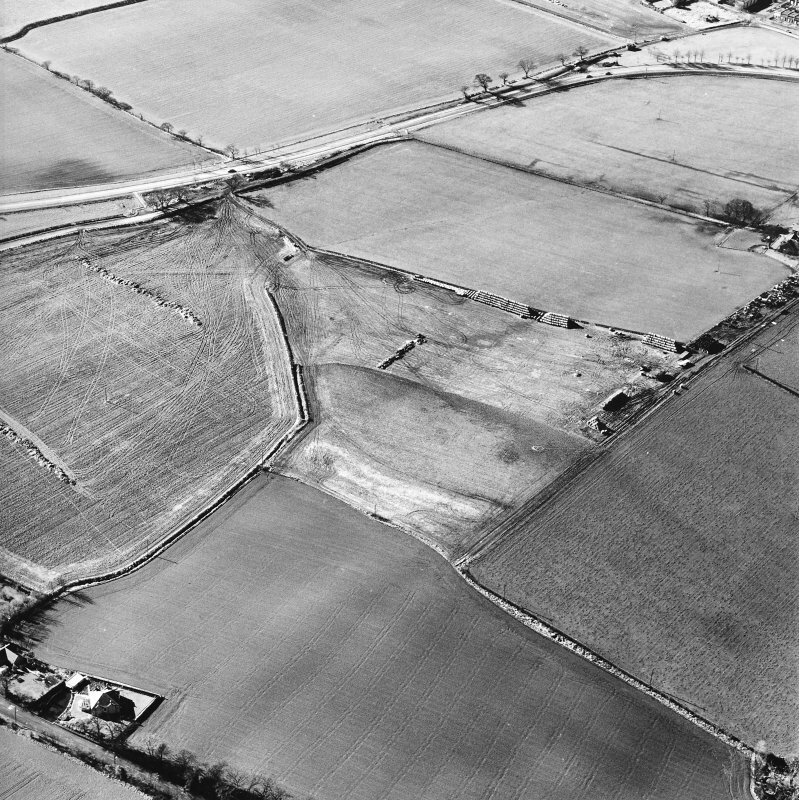 The Antonine Wall runs somewhere to the north of this camp, but its exact course here is unknown. 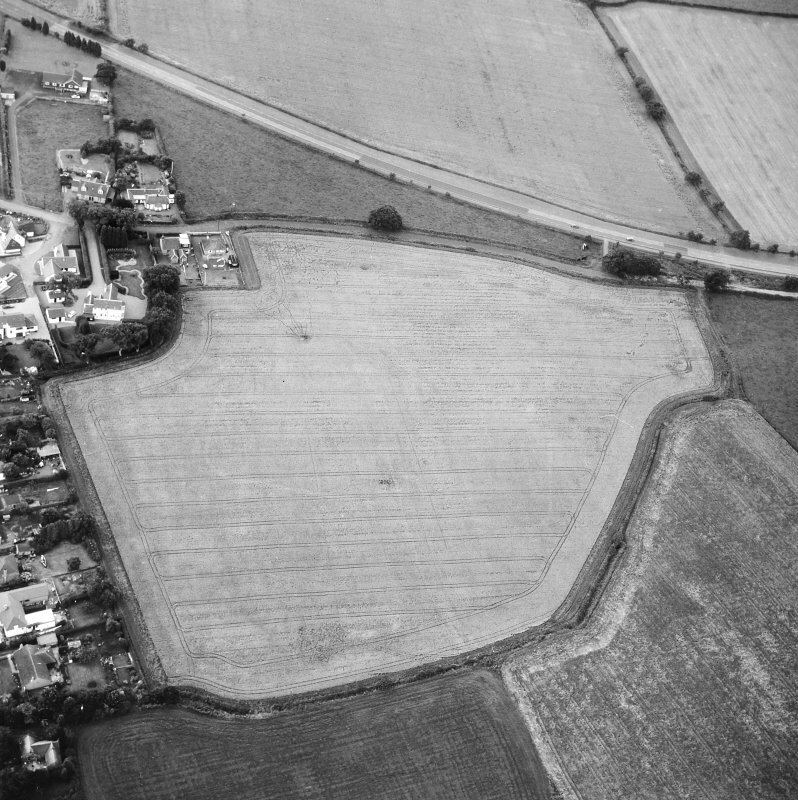 The Roman fort of Carriden lies about 900m to the east. 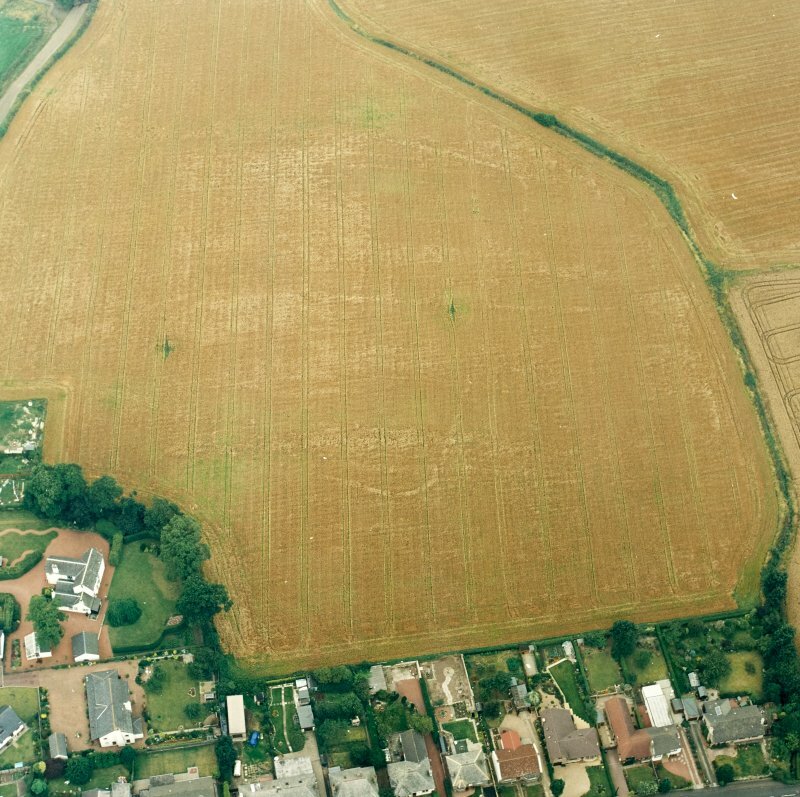 The NNE side and parts of the WNW and ESE sides have been recorded through cropmarks. 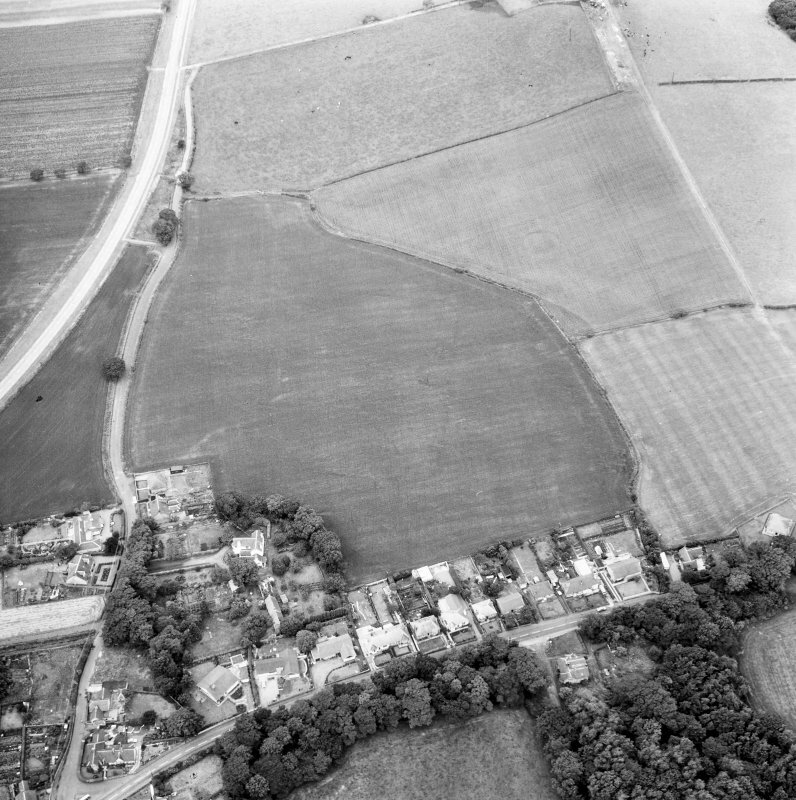 Although the SSW side has not been recorded, it is likely that Acre Road represents the perimeter on this side, as the road bends slightly to take in both likely corner angles. 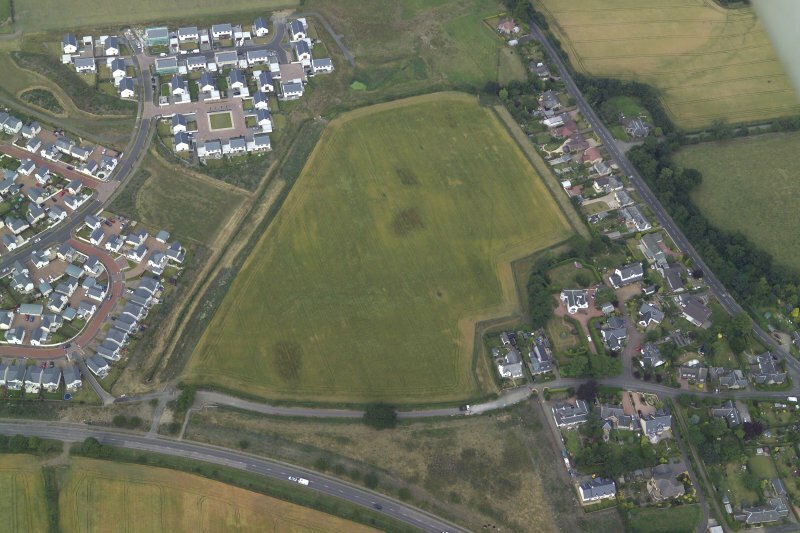 The camp measures around 162m from NNE to SSW by 137m transversely, enclosing an area of almost 2.2ha (5.4 acres). 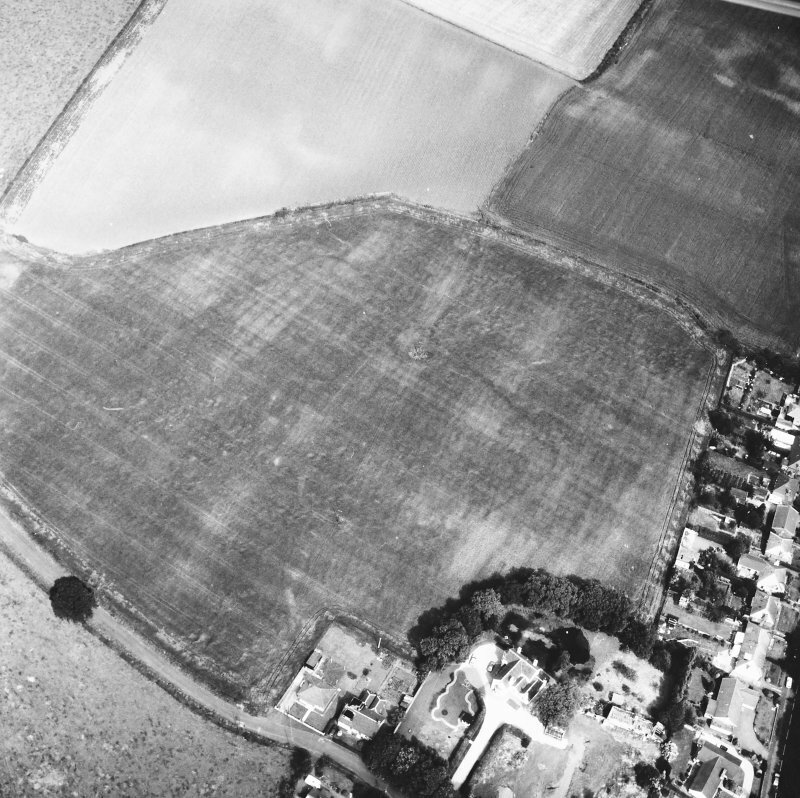 There is no definite trace of an entrance on the NNE side, but a possible entrance gap is located just north of the centre of the NNW side. 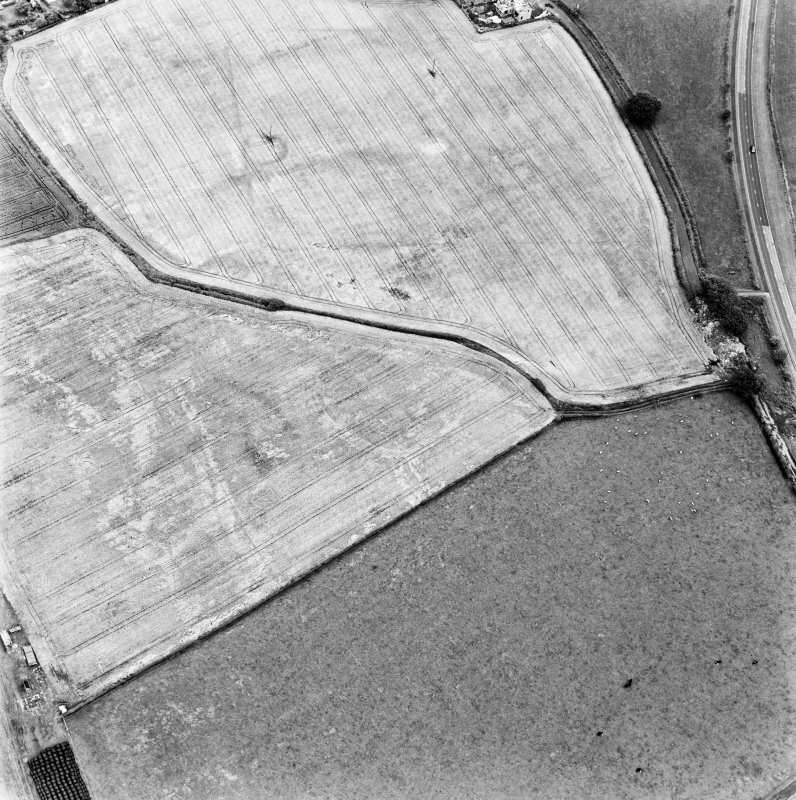 St Joseph recorded a titulus in the centre of the NNE side in his planof the camp (RCAHMS St Joseph Collection: DC 39398), but this could not be confirmed in the air photographs.